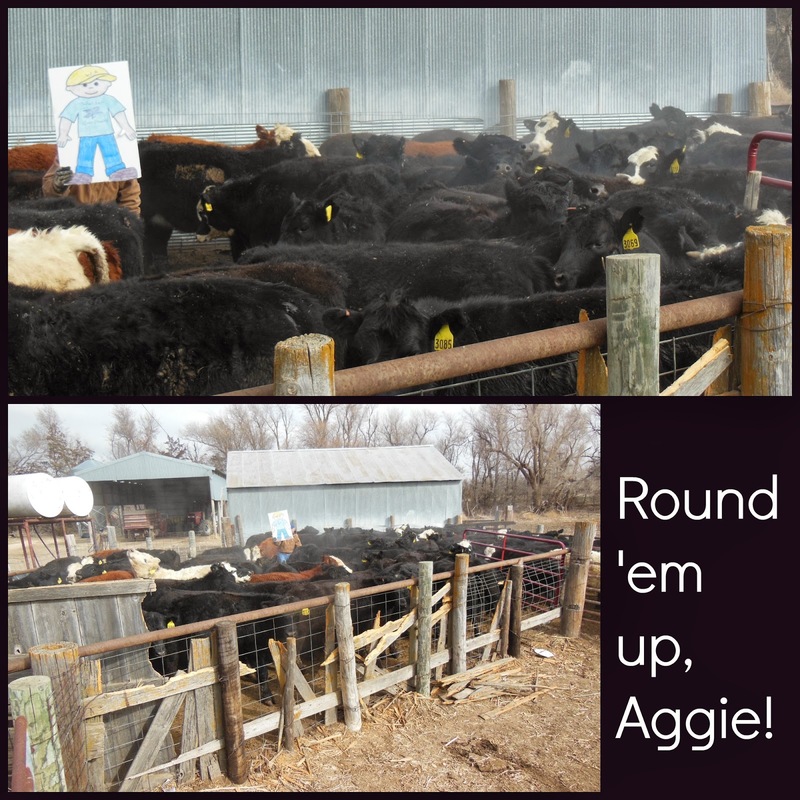 Kim's County Line: It's a Wrap, Aggie! 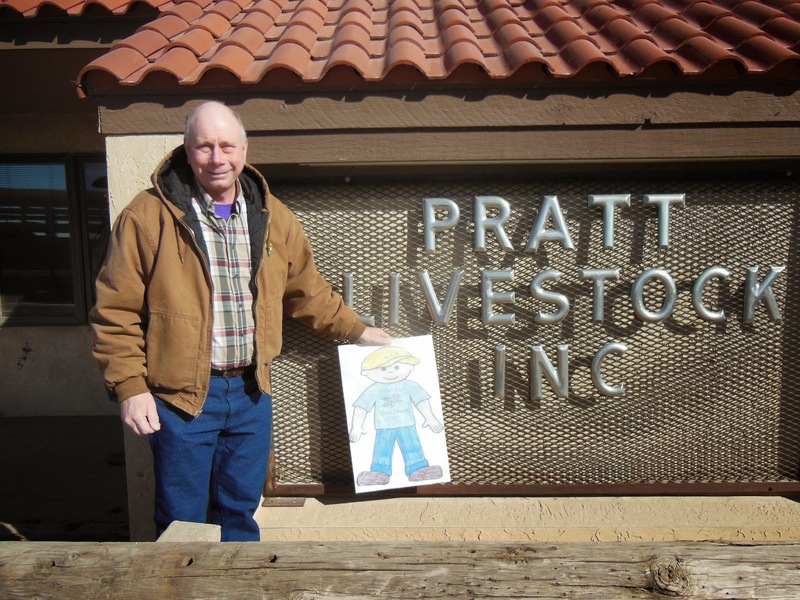 Our time with Flat Aggie has come to a close. 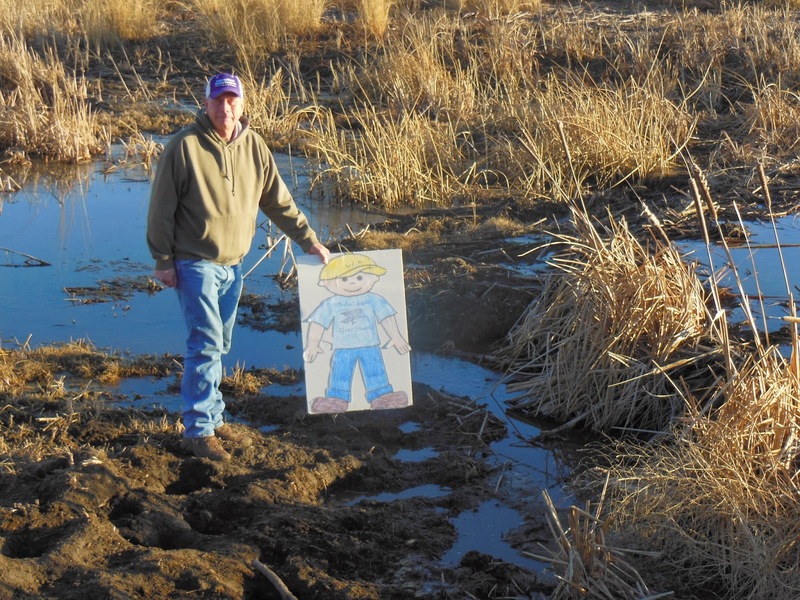 When Aggie arrived from Miss Holbrook's fourth grade class at a charter school, Walden Academy, in Willows, California, we welcomed him to our farm on Salt Marsh Road. We live on the Stafford/Reno County line in South Central Kansas. Stafford County is colored orange on this map of Kansas, and the orange dot is the city of Stafford. Reno County is the big rectangular county just to the right of Stafford County. Since we straddle the county line, we have farm and pasture ground in both counties. However, we probably identify more with Stafford County. It's where Randy attended school, as did our kids. It's where we go to church, participate in 4-H and where we do our banking and much of our other business. Our farm is just a few miles from the Quivira National Wildlife Refuge. Our primary crop is wheat. But when Aggie arrived, it was cold and wintery. Hard red winter wheat like we raise is dormant in the winter, so there's nothing we do with it during this time of the year. (We did have the co-op fertilize it while Aggie was here.) However, because wheat is so important to our farm and our livelihood, I wanted Aggie and the fourth graders to know more about the life cycle of wheat during the nine months it takes to get from planting to harvest. Aggie did visit a wheat field as it is beginning to green up and grow. The fourth graders will have their own opportunity to grow some wheat. Randy and I sent a box to Miss Holbrook's class at Walden Academy. In it, we included some Kansas wheat postcards which had a small packet of wheat and growing instructions attached. Thanks to Kansas Wheat for providing the postcards, as well as pencils, lapel pins and book marks. 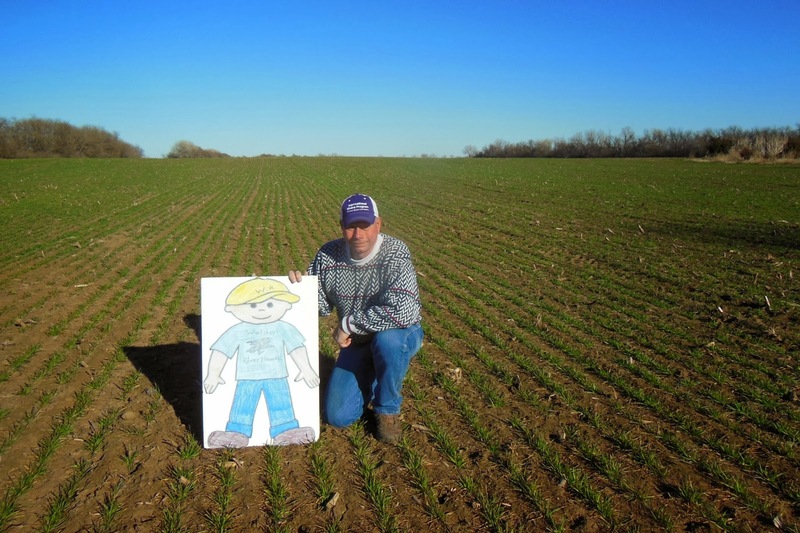 Randy is on the board of the Kansas Association of Wheat Growers, one arm of Kansas Wheat. We also sent a Kailey's Ag Adventures anthology, a series from the Kansas Farm Bureau. Even though it's for a reading level younger than fourth grade, we hoped the pictures and stories would help supplement Aggie's adventures from here on The County Line. 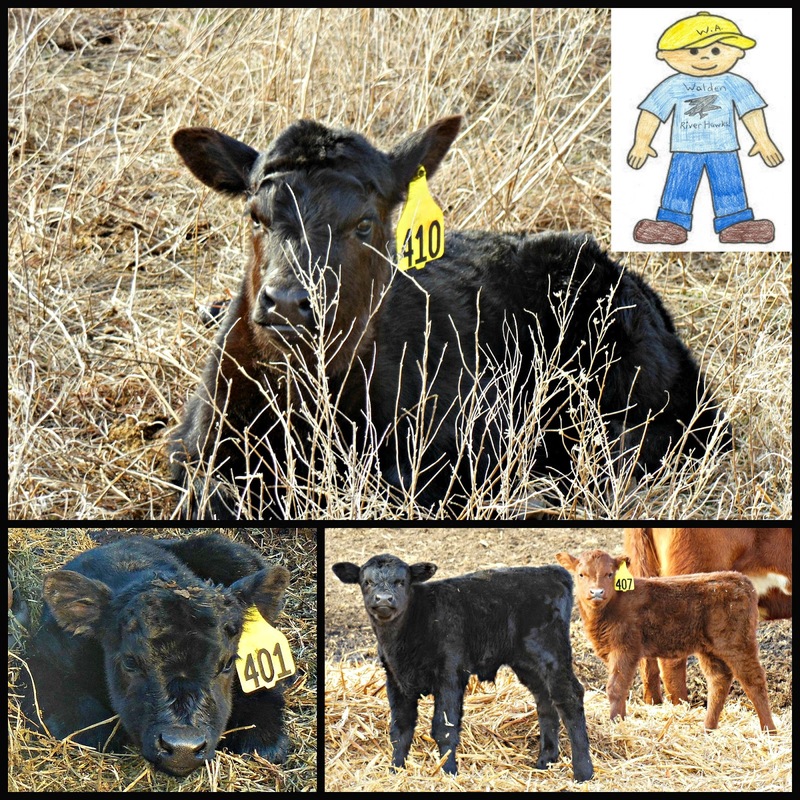 During his visit, Aggie got to experience much more on the cattle side of our farming operation. Because Randy can't do field work in the wintertime months, we schedule our cows and heifers to calve beginning in late January and continuing into March. When Aggie arrived, we were experiencing bitter cold, sub-zero temperatures and snow. That is not good calving weather. 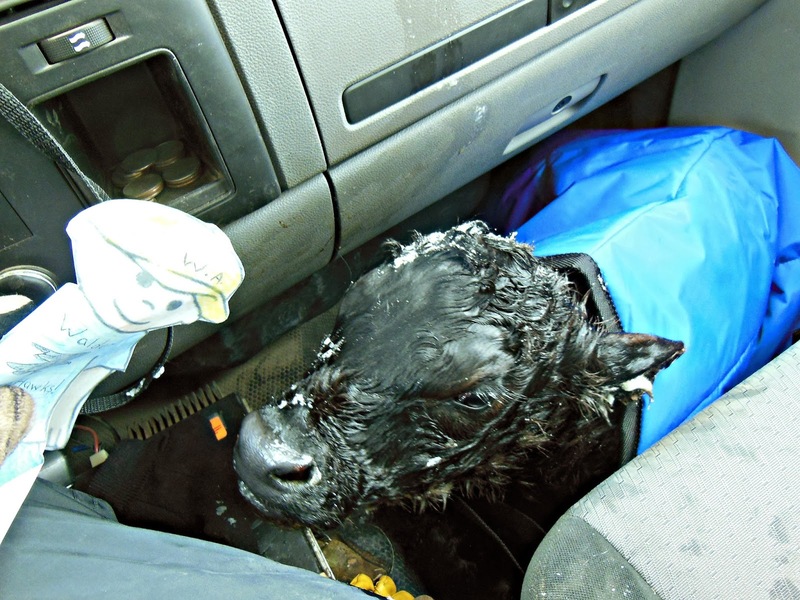 One weekend, Aggie went with us as we tried to save baby calves during the bitter cold and snow. Two calves died that weekend, despite our best efforts to care for them. I asked my blog readers and Facebook friends about whether I should tell the fourth graders that part of the story. I never intended to lie and say that the calves had survived. However, I did think about just not telling that particular story. However, everyone encouraged me to tell the whole story, not just the happy parts. Many fourth graders have experienced the loss of a pet or maybe even a family member, so they already understand that life includes death. Aggie learned that, too. But we also had plenty of success stories from our cattle adventures. Aggie helped us round up a baby who had strayed from the pasture and helped us return him to his mama. We looked for a beaver in one of our pastures. We found a beaver dam, but not the beaver. Aggie became a cattle wrangler and helped us gather and sort feeder calves so that we could take them to the cattle sale. 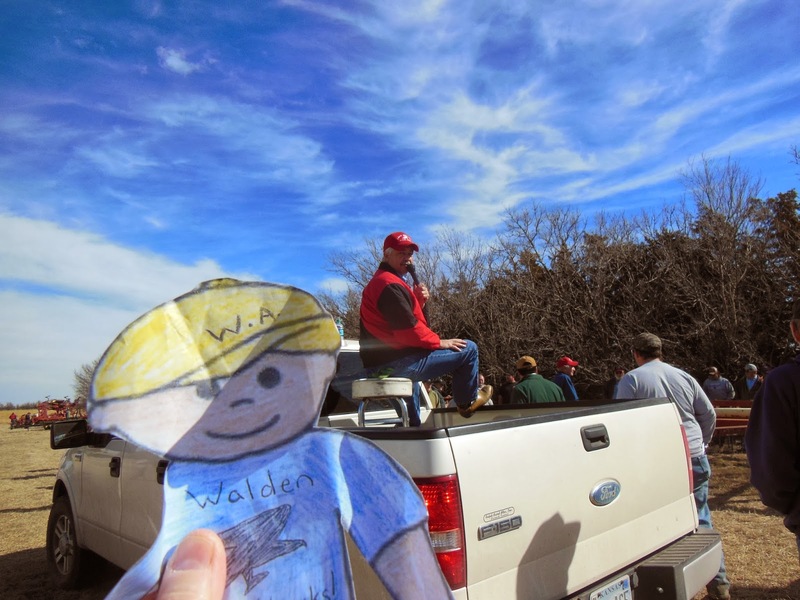 He also got to see the big semi come to haul the cattle to the sale barn. Then, the next day, Aggie went with us to the cattle sale and watched the feeder calves sell. Aggie liked listening to the auctioneer so much that we took him to a farm sale at a neighboring farm. Randy bought some used equipment. Aggie and I tried to keep our hands down so we weren't unintentionally bidding! 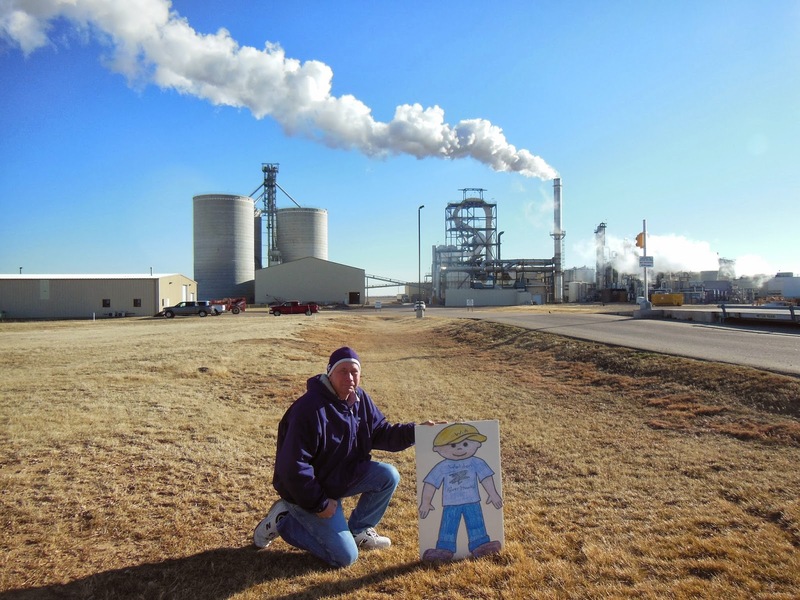 We couldn't find a hard hat Aggie's size, but he still got to go with us as we toured an ethanol plant near Pratt. We are so glad that Aggie came to The County Line to visit us. 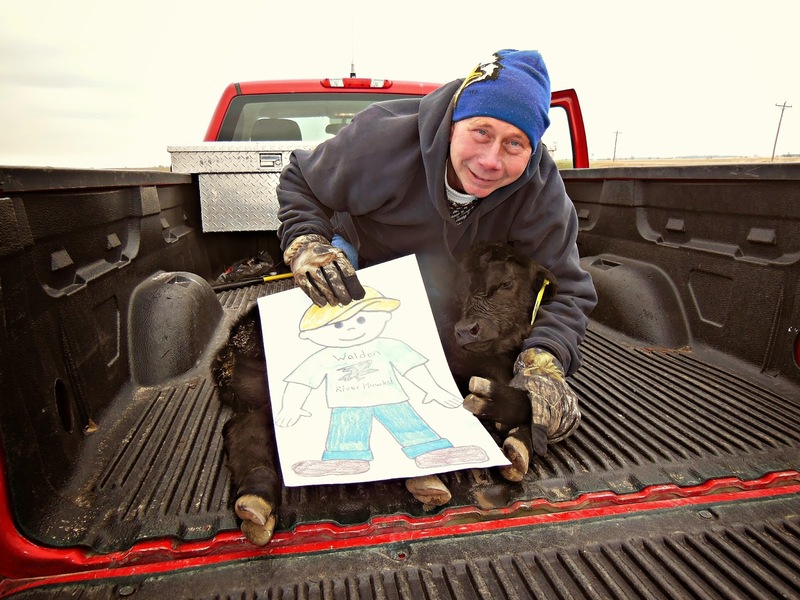 We hope that his adventures help tell the story of life on one Kansas farm. 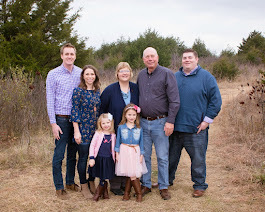 Thanks to Nicole and her Tales of a Kansas Farm Mom blog for the opportunity to host Aggie. 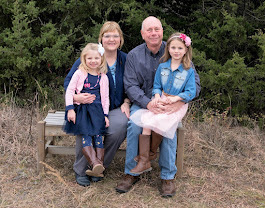 She makes it possible for Flat Aggies to travel the country and learn about agriculture, and we sincerely appreciate the time and effort she takes to serve as a "travel agent" for Aggie. We also are thankful to Kansas Wheat for the goodies we were able to send for the fourth graders. Thanks to Walden mom, Sandy, for delivering the package to the school and serving as Nicole and my contact to make Aggie's visit possible. You can keep up with Aggie's adventures on the Flat Aggie Facebook page. Thanks for visiting us, Aggie! Hope you enjoy your next adventure. 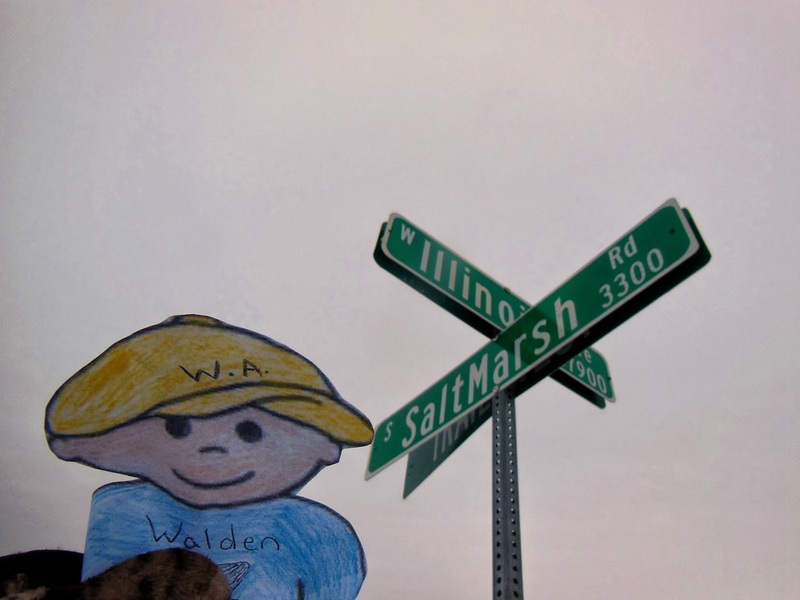 Tell your friends at Walden Academy "Hi!" from Kansas! I'm linked to Tales of a Kansas Farm Mom's Country Fair Blog Party. 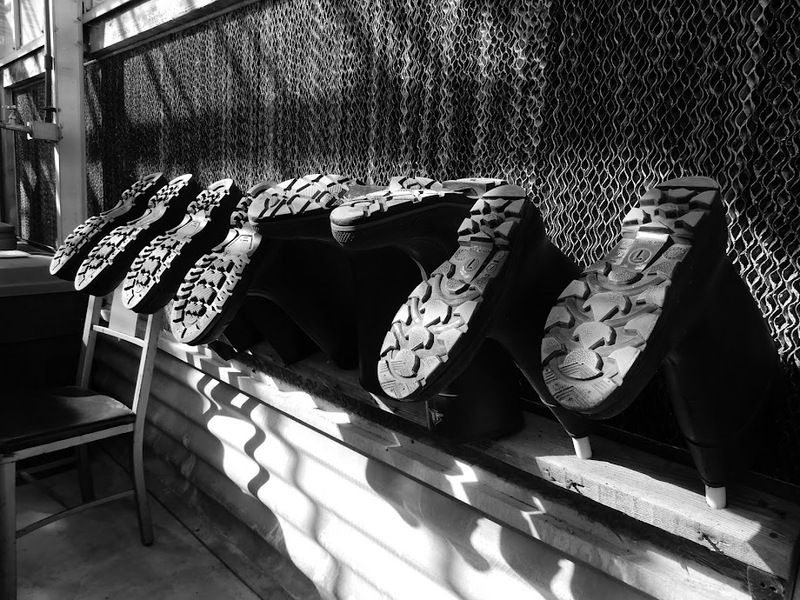 Click on the link to read other blog posts from the country. Thank you so much for all the time you put into hosting Flat Aggie! I even learned from some of the posts and our farms are so close to one another. Thanks for linking up to the Country Fair Blog Party, too. I hope the Walden Academy students enjoy it as much as Randy and I did participating! Thanks for all you do to make Flat Aggie possible! This is great! I have a flat aggie now and am teaching about honey and bees. Your post gives me some great ideas on what to do! You included a lot of interesting things in your report and I'm sure the kids will love it!! I hope you have a great visit with your Flat Aggie! I'll look forward to checking it out.